I’ve been noticing a big simplicity theme in the blogosphere lately. 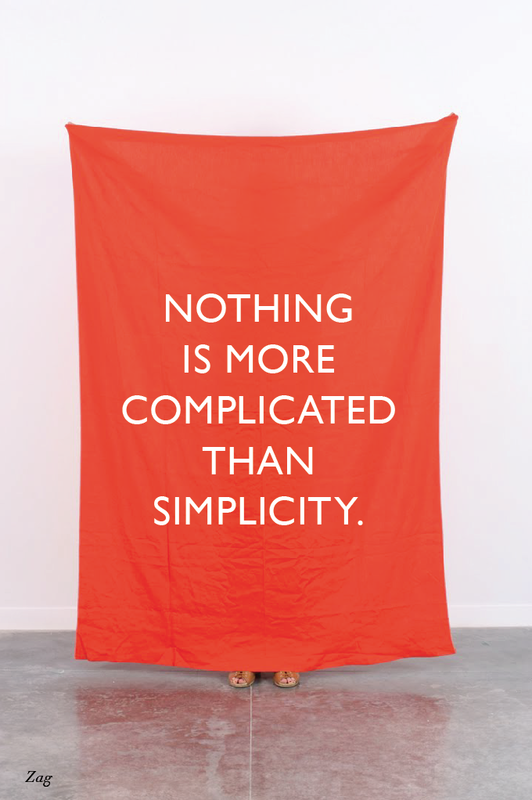 In fact, I feel like 2013 is the year of simplicity. People are getting back to the basics and finding what works best for them. In the running world, there is always a new and improved workout, a new shoe to cure your aliments, and the miracle food that will be get you to your next PR. And I am all too guilty of drinking the kool aid. I like to think of it as experimentation. However, the reality is a good runner is a consistent runner. Consistency is what I lack. This recent article by Jason Fitzgerald details the three pilars of a a healthy running program: aerobic capacity, injury prevention, and variety. I’ve got the top pilar in the bag. The other two? Well, that’s another story. I’m working on it though. The basics – good sleep, real food, daily activity, strength training, stand up straight – are boring but effective. Something tells me that those people who are true lifelong runners, have a simple approach to their training. They take care of their bodies and they do what works best for them. I really want to be one of those people when I’m 80 years old. Recovery Update: Still no running. 😦 However, I did have a nice cross training session at the gym today followed by lots of burpees. Then I took the 12 flights of stairs from the parking lot to our condo. I’m still hoping for a run or two (later) this week. I agree that simplicity is a pretty big theme this year, in fact I’m taking the same route for the next 8-10 weeks myself, doing nothing but easy runs to build a massive aerobic base while fending of impending injuries. You may want to consider the same in your comeback.